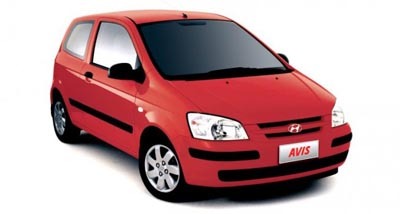 You can book your car hire from Avis online with the use of their online form. You can also ask for a quote from Avis via the telephone or by email. Avis have a wide variety of vehicles on offer that will serve what you need. They have everything from small vehicles to luxurious vehicles. Avis maintain their car fleet and often have them serviced. The vehicles are less 12 months old and will have less than 60 000 kilometres on the clock. The cars that are offered by Avis are also free of damage and fitted with commodities like a CD player, air conditioning, airbags, power steering and more. You are also able to add on car extras like baby seats and GPS systems. Avis also offer free roadside assistance for if you ever find yourself stranded. Avis car hire can be found in all nine provinces of southern Africa as well as its neighboring countries. They have a large network across South Africa so no matter where you are you will be able to get a car rental from Avis. Avis are also situated at airports in South Africa so that once you land you can hire a car and if you have booked your car in advance online then you will just need to pick it up once you arrive. 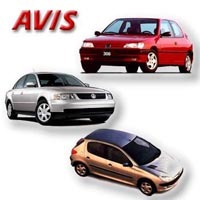 Avis has many branches and one that excels with their service and prices is Avis Durban. Avis has monthly car rental options for 1 or 2 months up to a 33 month period. This option is perfect for those who do not qualify for vehicle finance or for businesses who wish to have a company car but do not want to deal with the all of the red tape that comes with ownership. Avis Car Hire has specialized vehicles for customers going on safaris. The vehicles are modified to give a comfortable and safe journey. Avis also has tour guides, with years of experience, who provide guided safaris and help in planning where best to go to. At Avis Car Hire, customers can hire out trailers. This does not have to be done in conjunction with the hire of one of their vehicles. Trailers can be hired out on their own for use on the customers own vehicle. Avis goes beyond the call of duty and provides delivery of trailers as well. All of the vehicles from Avis car hire come with DataDot technology. Unique identification numbers are put throughout their vehicles so if the car is stolen it can be identified even if it is stripped of its parts. The Avis Chauffeur Drive can be requested in a vehicle type of your choosing. Chauffeurs can be used by businessmen who need to travel around to business meetings and would like to get some work done during transit or by those attending events and would like to make a grand entrance. Chauffeurs can be hired out on an hourly rate or for half or full days. The Avis truck fleet is impressive often being hired by businesses who realize the high cost of up-keeping their own trucks. Avis has tucks to provide many services from roll-back to refrigerated. Avis also provides drivers, border permits, cell phones, cargo nets and trolleys among others, easing transport logistics for businesses who hire out their trucks. Avis Car Hire provides paraplegic hand controls on a few of their automatic vehicles. This amenity is available at Cape Town, Durban, Johannesburg, Port Elizabeth and Pretoria. There is no charge for this, but must be booked 72 hours in advance so that Avis Car Hire can make sure that the vehicles these hand controls can fit into are available. The Avis Car Hire roadside assistance gives their customer’s peace of mind when renting their cars. Assistance can be provided all day, every day for car break downs. The Avis fleet consists of hatchbacks, sedans, vans, trucks, SUV’s, luxury cars, minibuses to service holiday and business needs. Avis Car Hire allows for customers to register for an Avis e-Invoicing profile so that they may have access to their invoices and statement online.